Gets right on my wick, this kind of stuff. Now that's what should have gone up in Ilfracombe! But I don't see any outdoor bread. 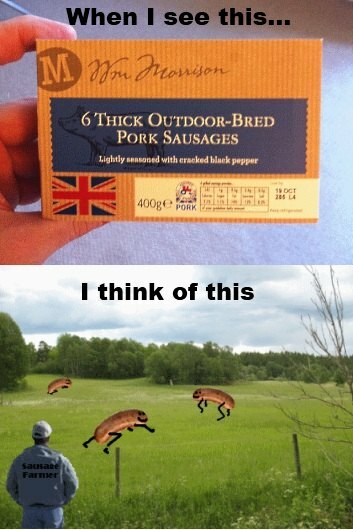 where they are ridden by "sausage jockeys". I've always wondered where Bernard Matthews gets his turkey ham from. they are allowed outdoors for a quick shag and then bustled back into an overcrowded barn to eat unsuspecting farmers.